Featuring the assemblage sculpture of John Balsley, Demitra Copoulos, Dan McGuire and Kendall Polster, this strictly figurative exhibition takes a look at a body that never dies. John Balsley has been creating work and exhibiting nationally and internationally for over 35 years. Balsley’s nearly 200 exhibitions demonstrate his prolific approach to art making. 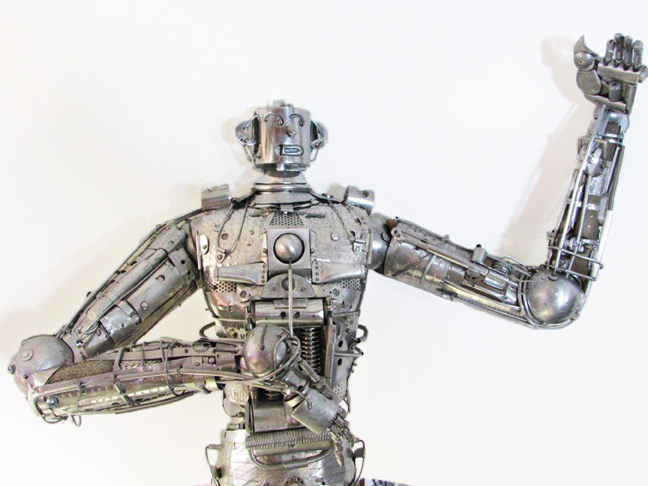 His newest series of mechanical aluminum robots was developed from his previous collage work, which incorporated images of flora and fauna and commented on social issues such as war and violence. Balsley is currently interested in anthropomorphic robots. His influences include H.C. Westerman, Bauhaus, Oskar Schlemmer, Marcel Duchamp, Native American art and Charles Sheeler, and particularly the book Flesh and Machines: How Robots Will Change Us by Rodney A. Brooks. Demitra Copoulos is a Milwaukee-based visual artist working primarily in sculpture. She received her Bachelor of Fine Arts degree from UW-Milwaukee, has exhibited locally and nationally, including in Chicago and New York City, and has done multiple large-scale public commissions. Her work is a satire on culture and human nature and takes a Shakespearian view of reality: it’s a fluctuation of comedy and tragedy. Copoulos uses the human figure as a vehicle to explore opposing forces such as order and chaos, beauty and ugliness and strength and weakness. She says of her work, “I like to poke fun at stereotypes and common social beliefs by using exaggerated and stylized forms to achieve a visual paradox.” The result is often comical and unconventional imagery. Dan McGuire is a professor of art at UW-Whitewater. 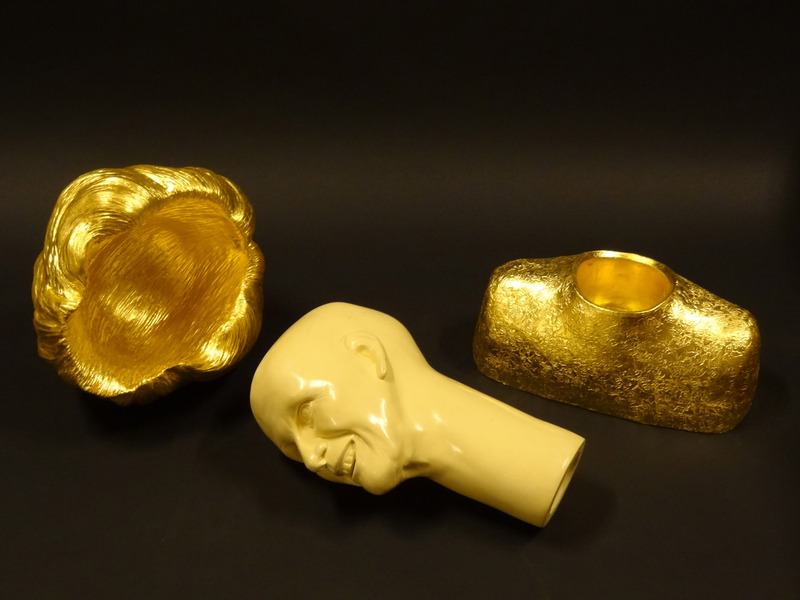 His primary discipline is sculpture but he periodically teaches 3-D foundations courses. McGuire’s work is typically expressive of close family and personal experiences. 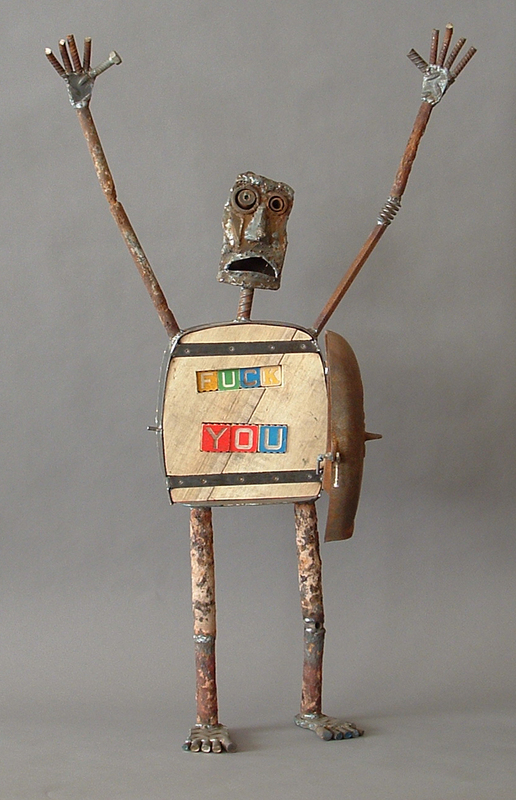 He prefers creating his figurative sculptures by re-purposing found objects and juxtaposing those objects with a variety of parts and pieces that he has physically and emotionally produced. The end result is a unique statement about his daily inter-personal relationships. Electric Eclectic April 16th – May 25th “Electric Eclectic” is a non-juried group show of 18 seasoned photographers that promises to be the most unusual photographic exhibition. The opening reception will take place on April 26th from 5pm to 9pm. Fun in the Sun: Summer Youth Art Camp!